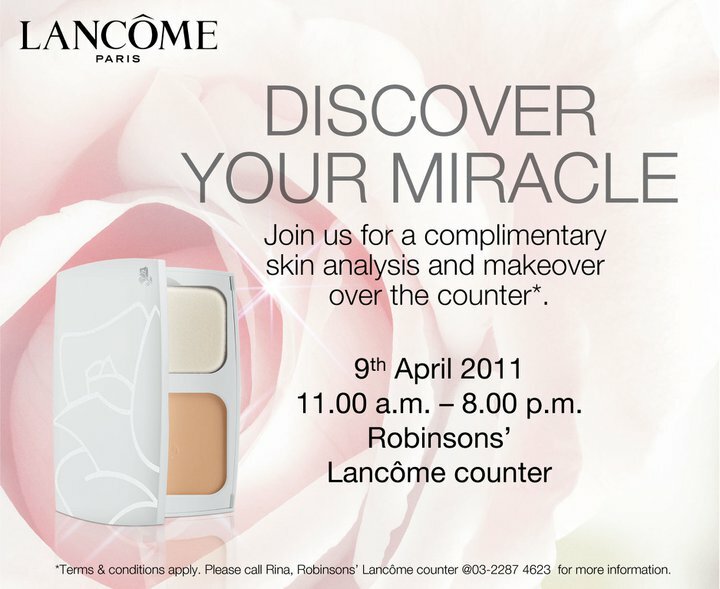 Join Lamcome for a complimentary skin analysis and makeover session at Robinsons' Lancôme counter @ Gardens Mid Valley on 9th April 2011, from 11AM-8PM. No purchase required! All you have to do is to call and make appointment to enjoy your pampering session. 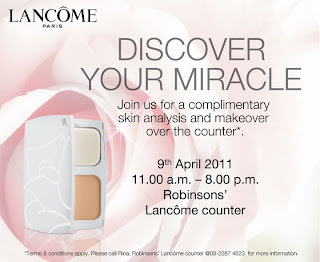 Kindly contact Rina at 03 -2287 4623 for more information. Thanks for visiting me. Are u going for this makeover? I am not free to go.